You snivelling slimy sliver of scumm! 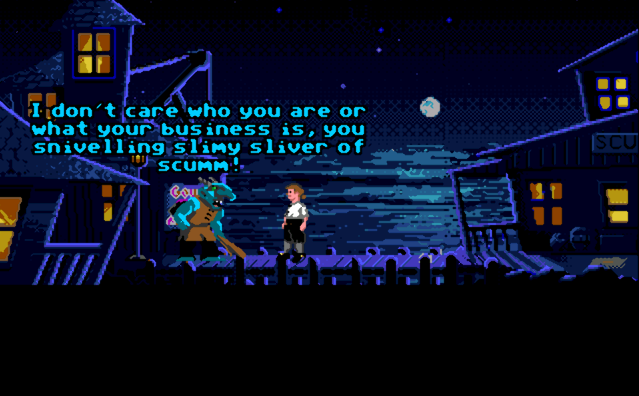 In the demo, when you first talk to the troll he calls you a sniveling slimy sliver of scumm. SCUMM stands for Script Creation Utility for Maniac Mansion, and was the scripting language used in all of the LucasArts adventure games up to The Curse of Monkey Island, including The Secret of Monkey Island.